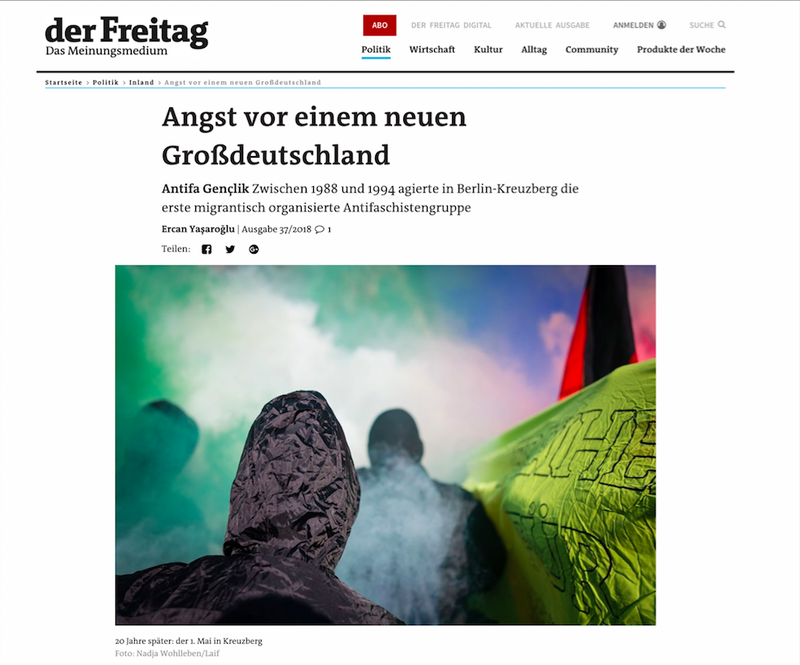 "Angst vor einem neuen Großdeutschland" (Fear of a new Great Germany". Interesting article worth reading (in German) by Ercan Yaşaroğlu. With one of my photos from this years Mayday Antifa demonstration in Berlin in der Freitag this week.